This is an awesome episode full of tips that will help every business owner build a profitable business. Bill is an accomplished businessman, having successfully founded and operated numerous businesses. Bill shares his passion for innovation and research, that has allowed his businesses to stay ahead of the competition. There are great examples of how providing clients with innovative solutions, combined with having the patience to see it through, can lead to increased profits and loyalty. Grab a pen, write down notes, and enjoy this episode! There’s loads of tips and insights that will help you build a long-term successful business. Why having a point of difference removes price from the discussion? Why it is important to be patient when building your business? How the power of delegation allows a business to fast track to success? Why business owners must get out of the way and have trust in your team? Why profiling your most valuable clients will increase profit? Why it is important to always look for new ways to solve client’s problems? 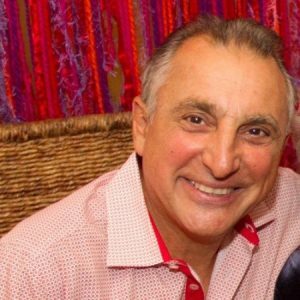 Matt: [00:00:00] Good day Jonsey here, on this episode of Power Up Your Business podcast, we speak with accomplished businessman Bill Alexiou Hucker. Bill: [00:00:07] This is suffered by every business owner. There's not a lot that aren't, the race to the bottom on price. Matt: [00:00:15] Learn from Bill's vast experience and wisdom how to grow a successful business. Today's episode is brought to you by the Cube software platform, assisting business owners, how to plan, market and improve their financial decision-making. To find out more about the cube go to www.thecube.network and click Request a demonstration now. Matt: [00:01:07] I'm Matthew Jones host of Power Up Your Business podcast and I'm here as usual with my cohost Craig "Bush" Markham here. Craig: [00:01:14] Good afternoon Jonesy. Matt: [00:01:16] Joining us today, we're pleased to have Bill Alexiou Harker. He is an accomplished businessman. He is the founder and director of GPSM a global logistics company and they are the gurus in international freight forwarding. They commenced their business in January 2002 and currently employ 40 people. Recently he's created a business that imports Himalayan pink salt. He's kicked some big goals there getting distribution through Coles, Woolies and Aldi. Bill is also the former chairman of the South Sydney Leagues Club. Craig: [00:01:47] Well on that note I'm going to actually ask you both, Billy being successful in business but failing in sport as a [00:01:52] Rabbitohs [0.4] fan all those years. How did you feel in 2004 and you're at the chair and a lot of great work and a lot of great people went into that business? How did you feel? Bill: [00:02:02] Well I suppose the word euphoric has to come to mind. We've been let down so many times that we didn't think the occasion would ever arrive. The beauty for me was that I went along with my family so they had endured many years of heartbreak being teased at school being a South supporter on the north shore. So for all of us collectively it was a great day. Craig: [00:02:28] Matt I want to throw to you. You're a very well known South's man [00:02:31] South's tragic [0.7] but you also were part of the team and the staff that work with Mark McGuire through the [00:02:36] 214 to 215 [1.4] seasons. They say the problem of Sydney was the football couldn't get done right because the business wasn't. Is that a fair assessment? Bill: [00:02:46] After 43 years of losing and pretty much come down to people that didn't know how to win. They needed to change their culture. So [00:02:52] Madge [0.3] really wanted to put a winning culture in place and he did that in 2014. Like Bill I've been a [00:02:57] tragic [0.5] all my life there's nothing better than being in the sheds with my son and my brother holding up the [00:03:01] private [0.3] summons trophy. Craig: [00:03:03] Well a bit of excitement there I suppose for our sport and business collectively. Billy a little bit about the GPSM story and your journey and expertise. Can you tell us a little bit about where it all began for you? Bill: [00:03:14] Well it began for me in the mid 70s when I entered the industry worked for a lot of people over that period of time. I always thought that the business model of the freight forwarding industry was wrong and needed to be changed with the coming of the Internet. So my business partner and I decided it was time to go out on our own. We started knowing that we could wind up in some sort of legal problems if we solicited clients or employees. We basically started on day one without any employees and without any clients. So we kept our first invoice, which was on one of those thermal paper facsimiles, which unfortunately is faded now so there's no evidence of that. We actually [00:04:07] started sight unseen. [1.4] We both had mortgages. We both had young kids. We were taking a big punt but we believed in ourselves. Matt: [00:04:15] That big change then Billy, from what I can hear it, was it the Internet that really drove you and the existing business that you're in didn't believe in the Internet or didn't want it? They were a bit slow to move and you thought you and your partner said let's go. There's an opportunity here, let's go. Bill: [00:04:27] With some due respect to the guy that we used to work for he did see that coming but his idea of how to enhance the business using the Internet was different to ours. We could see it as a value add whereas he wanted to see it as another profit centre, which we knew in our industry wouldn't work. So we followed on those footsteps and created the Internet package that we have knowing full well that no other freight forwarder does it. Matt: [00:04:55] So basically you really got it early because you see how big it's going to be and the opportunities that lie ahead. When you talk about taking that big risk in from a family perspective and potentially the amount of days weeks, months or years of having sleepless nights as a budding entrepreneur. Talk us a bit about that. Matt: [00:06:03] A couple of things there in terms of those early days, how did you get, I know you said sort of more of a personal touch potentially, how did you gain the confidence of these big players when you had no runs on the board yourself? Bill: [00:06:15] We did have to have a point of difference. You're right. Price wasn't a motive for them. This was pre GFC. So it was all about well how am I going to enhance my business. So by offering them an Internet solution that we knew was quite unique in our industry. They were able to sort of justify jumping ships and coming on with us. Matt: [00:06:38] That's often what we see a lot of the time where a lot of businesses just play on price and you really went into the crux of it what's your problem? What your customers' problem? How can you offer an improved solution? Bill: [00:06:49] That's correct. We always look at that that's our business model and it has been for the past 15 years. We don't go in to offer a price solution that's just a race to the bottom. We demonstrate how we can improve their efficiencies. Their indirect cost cutting and their productivity with the tools that we can provide them. Craig: [00:07:11] Billy in Mattie's book Power Up Your Tradie Business, he references in page 51 where you've got the 3 takeaways about the change. You just highlighted them the hardest step is the first step. Be prepared for a fight and you articulate that with so many customers you rely upon. This one that we haven't sort of questioned yet was takes small bites and chew fast. Is that what you had to do in the beginning just take little chunks and then build on that? Bill: [00:07:35] Yes, you can't go all guns blazing at once because then you become overwhelmed with what is coming towards you. So you've got to manage it and the growth of the business has to be managed for growth as well. Otherwise the customer will get a bad experience due to your lack of resources. They'll go. So you've got to sort of be a bit patient to ensure that what you've got today is being well serviced before you go to the to the next platform and go for more growth. Matt: [00:08:10] On the back of that Bill you think one of the things in terms of the one thing that really powered up your business so to get you where you are today, sort of fast track it, what's the one thing that's really enabled you to power up your business? Bill: [00:08:22] That's going to be the power of delegation the power of being my business partner and I both believe that by surrounding yourself with good people it enables you to do what you do best. Delegating is a difficult task because everybody knows they do the job better than the next person. So trust is a big issue for delegating. If I give you that job to do how do I know you're going to do it is better than I can. So what you've got to do is once you've delegated, you've got to take those errors, which will happen. Rather than do what a lot of people do is they will give it to me and I'll do it, you've actually got to then sit down and understand the process and systemise it so that the error doesn't occur again. So we were able to delegate to our management team things that we could have done and save money on but that enabled us to spend the time to go out and find new clients. Matt: [00:09:27] So the key thing here on the delegation out starts with the key power up, it starts we actually systemasing, creating a process that can be replicated. What we see, have seen it thousands of times, where a lot of business owners don't have the confidence to hand over. One thing I talked about in the book is as a business owner it's not about you, get out of the way, let other people do it. You got to have the patience too to understand that they're going to make mistakes but that's cool. If there is still mistakes being made, go back the process refine the process take the process to the next level. Would you agree with that? Bill: [00:09:58] Absolutely. One of the things that a lot of people do fear is the fear of failure. So when you do [00:10:07] approach [0.1] an employee or whoever a manager and say this is the way we're going to do it, their first concern is if it doesn't work, what's going to happen? Therefore you've got to assure them look if it doesn't work, we just tweak it. Nothing is set in cement. You've got a be dynamic. You got to be fluid. If you're going that way and all of a sudden it's not working. Why isn't it working? Let's go that way. Craig: [00:10:32] Billy, I know in my experience in 10 years I've worked with Matt and Matt come on board our business and said that exact thing to me, "Get out of the way. " Sometimes in business when you started, it's your baby, you feel a self-importance. How did you manage to the art delegation? What were the 3 key things you could do to actually get out of the way and control that situation? Bill: [00:10:51] I was taught that from a previous employer. First he taught me the art of delegation but I guess in a funny sort of a way, my business partner and I when we first started the business, had a saying and that was make as much money as we can with as little work as we have to do. We didn't mean that by winning the lottery. We meant that by saying well let's find the right people in those roles that will do a better job than us. So we can be networking, upselling, value adding and taking the time to understand the business from a helicopter level so that the processes and the efficiencies go down to our bottom line. Matt: [00:11:33] That's one of things we see a lot of the time when it relies on the business owner and your firefighting all the time, you're not high enough. You don't know if you're actually making the right decisions to ensure that you're positioning the business long term. Everything short term and that's where we see a lot of the time where we'll say a business [00:11:49] owner [0.0] and then one thing you need to process but they'll come out and say Jonsey that's great. In a perfect world that is great but haven't got the time, haven't got the money. If you don't want to accept it then just get used to firefighting time and time again. Ultimately what we're about what you said make as much money as you can with it as little work ultimately you want to be able to ensure you can go away on a 6 week holiday come back. You still got money in the bank and still ticking along as if you weren't even there. Craig: [00:12:13] Billy what are some of the challenges that you're facing in your industry in the current economic and business climate? What are the things that keep you up at night if anything at all? Bill: [00:12:22] The main one is that and this is suffered by every business owner, there's not a lot that aren't, that is the race to the bottom on price. We've become educated to go for the cheapest price. For that reason a lot of clients and customers will actually put pressure on you to meet that price even though they know they have a better standard of customer service experience if they stayed where they were. So to me that's about the only one that really gnaws at me. Again then it's up to you to be able to provide the tools to your customer. The tools aren't just being a good bloke that's not what they're looking for. So it's the tools that they say, "Hey if we leave this crowd, we're really going to have trouble. Matt: [00:13:19] One of the things you're talking about there in terms of the race to the bottom and just some takeaways for the listeners at good price, nearly every customer that we work with, it's all about price. The first thing is why aren't you winning work, it's price. What we're going to try and do it as a key takeaway would you agree, it's all about actually educating the customers in terms of the value that you deliver. What we see is like when you lose a cleaning contract, what are your sales reps say, it is on price. Would you agree? Craig: [00:13:45] Your sales guys, it's on price prior to getting the contract. You got to articulate value and what they're going to get. It's a key point you make Bill. Value it is the number 1 driver for people and they will come at you at price because everyone wants a good deal. Once you start to articulate the value then you're lifting the veil. Bill: [00:14:03] Just on that the value proposition when the GFC hit and we went through a bit of a rough patch. We actually sat down and said well who are the clients that value our services not who uses us, not who has to use us but who are the ones that value us. They are the ones that are paying the most. They are the most profitable ones. So we looked at that on a whiteboard and said here are the 5 factors. It might have been their demographic. It might have been where they're situated, the industries they are in, whatever. So we went out to find those types of clients rather than have a machine gun approach. We actually honed it down and said we want these types of clients. Whilst we could be bigger than what we are, we wouldn't be as profitable as what we are and we would have more headaches than what we have. Matt: [00:15:02] That's what we see a lot of people a lot of organisations struggle to say no to clients or get rid of clients because what we see is the client that you start with aren't the ones that are going to be there long term. As your business evolves they often won't evolve with you, so you need to say no. What we talk about all the time is not about being busy doing lots of things; it's about doing the right things at the right time. At the end of the day it's not about turnover, it's not about size but it's about profit. Bill: [00:15:25] Yes that's correct. In fact in our situation we lost our biggest account and we were more profitable by losing them. They simply wanted everything for nothing. This was over a period of time and like you say Matthew, we had to just say, "Well sorry we're not going to visit those profit levels." Matt: [00:15:47] That's one of the hardest things to say no is the hardest thing for a lot of business owners. Craig: [00:15:52] Probably a question to both of you Matt and you Bill but I'll start with you Bill as our guest, in Mattie's book profiling your ideal client, page 167 the takeaways, "Identify your profiled customers actual problems and implement solutions to solve the problem." It's a really key point in anyone in business. Everyone wants to tell you what they can do for you but no one wants to actually listen to what you want. How do you find that when someone mentions that we do all these great things, we sell this, we freight forward, what does the customer actually want? People miss that sometimes. Bill: [00:16:25] A lot of people in any industry are just cookie cutters of what the industry does. So if everyone does this in the cleaning game or in the hospitality game well that's how we do it too. So it's safe for a lot of people who start business to just follow the same lead. What we did and what every business owner should do is stand back and say what is it about our industry that frustrates the customer experience? What is it in the cleaning game? What is it in hospitality? What is it in freight forwarding in our industry? We identified a lack of information and transparency was one of the big frustrations of our industry. If you're a tradie, the frustrating thing as a consumer would be, I'm told you're going to be there at 10 o'clock and you turn up at 2 and you haven't told me why blah blah blah. Once people start to sit back and look at what the problem is of the industry and fix that they're a long way to being Robinson Crusoe and very profitable. Matt: [00:17:33] It's a lot more than just coming up with a feature or some sort of function of what is done, it's about the underlying problem. As an example from a real estate agent point of view their problem is not about just fixing a hot water of a tenant, their problem is they got a thousand things to do. They've got all these e-mails they've got 300 tenants or 300 owners. Can you fix my problem? If you can fix my problem you come very valuable. Craig: [00:17:55] Billy how do you stay ahead of the game in your industry? It's so competitive and it is a race to the bottom across many industries, how do you stay ahead? Bill: [00:18:04] We are ahead due to our technology that's a given but we are always looking for new top ups of the bucket because you're always going to [00:18:15] leak. [0.0] So you have to keep that bucket topped up with new business all the time. Again as I said before delegating, we've delegated that task of cold calling to an outside organisation. They do that job for me and they have a pre-subscribed criterion of what they have to ask and the sort of company we're after, which goes back to that 5 value proposition that I mentioned before that we listed. Then I only go out and see that type of importer that may be 1 or 2 appointments a month but that's sort of 1 or 2 appointments a month is more successful than going to see 100 people a month. Matt: [00:19:01] Now it's all about you getting the best bang for your buck out of your time. Just before we move on, I want to go back to that level of investment, how do you with your partners as an example, how do you sit down and go, "Okay, we're doing great but what do we need to do?" Looking forward, I'm a being believer what you did today is not going to be good enough tomorrow or what is unique one day is expected the next especially in this information age where everyone can get access to the latest and greatest. So how do you in your business sit down with your partner or your board and say, "Even though we're doing good we need to invest X in this to go the next level?" How do you put a case together forward for that? Bill: [00:19:36] Well a lot of day to day research goes on. When I say research I mean read about what's happening in your own industry. Read about what's happening in technology. Look at how that can affect your business and how you can grab that innovation that's out there. For example Uber has created a whole new generation now of Uber freight, Uber transport, Uber this. The day will come where people will be using freight forwarding and transport companies like Uber and we're now starting to build the technology that will be able to bring that sort of result for us. So it's really about the technology and saying well what's coming up and how can we add even more value with the technology and what's that going to cost. Matt: [00:20:28] So from a listener point of view, it's all about continual learning. Bill: [00:20:31] Correct. Keeping up with the times. Matt: [00:20:35] Just cause you're great today, you've always had a look ahead and obviously you're an avid reader and avid researcher and that's probably one of the key things for your success today. Bill: [00:20:43] If you're a builder what's the latest material that's out there? Instead of using the old [00:20:48] forby too, [0.9] what are they using in Scotland or Finland or something? I'm not saying that they've got to import it. All I'm saying is what's out there now that you can tell your client because when your client says, "Hey you wouldn't believe it I've got this builder that's come up with this brand new product that's half the price." They don't even know what your works like. They'll want to use you because you sound like an innovative sort of a guy. Matt: [00:21:14] On the back of that comes down a lot of it with partnerships and talk about your pink salt and how you really leverage partnerships in that. One thing we talk about with builders, plumbers, trade service people is about with your current suppliers, how can you leverage their expertise and their credibility to provide value to your customers? That's one of the key things a lot of business owners because they just go do it themselves. They got a head down bum up. They don't look at partnerships as a real way of leveraging whether it be their expertise or opening markets. So just on that from a pink salt perspective, how's it been going along? Just give the listeners a bit of an update on your latest venture. Bill: [00:21:51] About 6 years ago I came across a fellow that wanted to import pink salt, which you now see in every store for his cattle. So I asked the gentleman, what he was going to do with it. I hadn't even heard of Himalayan rock salt. Once I started researching again like we discussed before I noticed that there was a hole in the market for pink salt to be sold to the masses rather than as an elitist product. Long story short, it took me about 6 years of telling people of my idea that went nowhere. I happened to then meet a company that was a food broker whose job it is to approach Woolworths, Coles and Aldi to actually bringing new products. So when I told them about my product, they jumped on the idea and they had it Woolworth within a month or two. Now when they came to me and said, "We're now looking at a partnership here. We want X percent," which is more than what I've got, a lot of people probably would have, if you watch Shark Tank they come in and say well I'll give you 10% for X but the problem is, they're the people with all the expertise. If anything you should be giving them 90% because they're the ones that are going to take it from a 2 dollar company to a 2 million dollar company. So when they put the proposition forward to me that they wanted a greater share of this, I had no hesitation in saying yes. I knew it took me 6 years to have 100% of nothing. It took me 2 months to get 40% of something. Matt: [00:23:35] A greater share. Bill: [00:23:36] A greater share so I could see the expertise that these guys were going to bring along. Since then knowing what it's been like to supply the majors, there is no way I could ever have done this without them. You've got to rest easy with that. You've got to be able to go to bed at night and go you know what I may not be making as much as I would have thought I would make or the business is making all this but I'm not getting the big share of it. Just think back how hard a struggle it would have been if you had to. Would you have done it? Would you have had time to do it? Matt: [00:24:10] Most would have stopped. Bill: [00:24:11] Most would have stopped that's right. Now they're focusing on their lost profit even though 6 months ago they had no profit. Matt: [00:24:18] That's right and that's a hard thing for a lot of people that's that mind shift and that mindset is liker, "Hang on," and I love the way you sort of term it, "100% of nothing." Would you bring it down and couple of things just finishing up and I'll get Bush to jump in here especially, with some of the best pieces of advice that you had through your career and one of those things that [00:24:38] catalyst, [0.0] sometimes we see it for myself. You're sitting there. You're down. You're out. You've been struggling for 6 or 7 years there's nothing happening. Then all of a sudden someone taps you on the shoulder and says, "Lift your chin up. Have a look at this. What about this." It really changes that trajectory. What about yourself or some of the catalyst for you or some of the changes for you? Bill: [00:24:57] There's always tomorrow is certainly one because you've always got tomorrow to work on something. Whether it's a life problem, work problem, business problem or whatever it is. You're going to wake up in the morning, the sun will shine and you've got another day to work on it. For some people, there's people out there worse off than you. The South Sydney Leagues Club for example is one of those. We went through 6 years of real torrid times. Every day the challenges were there but you just had to. It was like Mount Everest mate you just had to take little steps and you'd eventually get to the top. Matt: [00:25:39] One things there too that I find that keeps people going like there's always tomorrow. You're aligned and connected to a big vision. You've all connected as a team, connected to a belief that there's one thing we've imagined in 2014. The whole organisation, all the players were connected to one vision. Let's break this 43-year drought. Now once that was broken, it's been tough because people are not aligned to that one vision. So how do you think from a visionary point of view aligning everyone to that one belief how important is that? Bill: [00:26:04] Very important. For example in my freight forwarding business, everyone is aligned to the vision if you can call it that of information business. We are an information business to our clients. They all agree with that. So if you've got someone that tries to work outside of that program, they won't last. In the salt business again the vision is to provide a high quality product at a very good price and we all are going for certain clients. We just keep on going. No one's going to splinter off and say oh well but what about this or what about that. In the leagues club situation that was a big rebuilding program. We all had the same vision to open the doors one day, which we did. There were a lot of battles along the way but we all shared the same vision and so that got us through. Matt: [00:27:02] Last piece of advice to our listeners the one takeaway, what would you give to a budding entrepreneur or someone maybe has been struggling for 10 years? Craig: [00:27:09] Or a startup? Matt: [00:27:12] Someone there that's maybe, "Hey I can't do this [00:27:14] maybe lacking belief." [0.6] What Sort of piece of advice would you give them? Bill: [00:27:18] That's a tough one. If you believe in what you want to do, if you genuinely think this is an idea or it's a passion, keep at it. I do believe the universe delivers at one point but then I've also found in in my time that things that are successful seem to come easily. I don't mean easily like I'm going to walk out the door and someone's going to hand me the golden goose. What I mean by that is in the case of the Leagues Club for example, we overcame surmountable challenges right. We kept going. We kept going. It was almost like the universe was saying, "Hey guys I'm trying to get you to stop this project because it's going to end in tears." Whereas with the GPSM thing even though I say we opened our doors with no clients and no staff. When we went out we still got clients. It wasn't just like insurmountable all the time. So there are times I've got to be honest and the salts and other one. Even though it took me 6 years to find that person, it wasn't an insurmountable thing for me. I wasn't on the breadline waiting for that person to come along and when they did come along it happened within months. So what I would say to some people is look you might have a vision but if there's people always putting roadblocks up, there may be a reason for that. If I've got a minute it reminds me of a joke. A guy used to go to church every Sunday and he went out fishing one day and he drowned. He was drowning and a boat came along and the guy said jump in mate and I'll save you. He said, "No Jesus will save me." He said, "Alright." So he took off the next boat came, jump in mate, I'll save you and he said, "No, I go to church every Sunday. Jesus will save me." Anyway the guy drowns. He ends up in heaven and Jesus is there and he says, "Welcome to Heaven." He says, "I'm really pissed off." Jesus asks, "Why?" "Well I go to church every Sunday. I've lived the life of a good Christian man and I drowned. You didn't save me." He said, "Mate. I sent 3 boats how many more did you want?" So the story is that sometimes you will have roadblocks and it is as a warning signal. Matt: [00:29:52] I love that I love that joke too. Just on that really frame part of your career would be persistence Billy. One of the things you've kept going in adversity because you've kept that vision. It just kept going. One thing that I'm a big believer into is preparing for the opportunity when it presents. So all the time there you can see the opportunity. You're preparing and when it does present, like you the pink salt, you're preparing for six years but when it presented, you took it. Very quickly, you made it a reality. Bill: [00:30:23] That's correct. Yes exactly. I could see it on the shelves. I could see it in the shelves of Woolworths 6 years ago. Matt: [00:30:31] Clear vision of what you wanted. Bill: [00:30:32] That's right. Sometimes it's important that people don't say have a vision and then all of a sudden they start whittling that vision away because of those roadblocks are coming out. Maybe I shouldn't do fine salt. Maybe I should just do rock salt. Maybe I shouldn't do [00:30:46] Grinder's. [0.5] Maybe I should do this now. I could see where this was heading. I could see it on the shelf and that's why I persisted. Matt: [00:30:54] It's a bit like Henry Ford back in the day. He asked people back then. What do they want from an automobile? They'd say give me a faster horse. Bill: [00:31:00] Yes, that's right and he persisted. Matt: [00:31:04] He had that vision. Bill: [00:31:04] Yes. If you look at any of the great inventors of the world back in those days, any of the great entrepreneurs, a lot of them started with very lean times. Some of them even though we are now using some of their great inventions and what have you, died broke because of whatever happened. They had a vision. They were persistent and they saw it through. Matt: [00:31:28] On that note make really a pleasure to have you in for our first edition of Power Up Your Business podcast. Much appreciated for sharing your inspirational business story. Bill: [00:31:38] It's been a pleasure. Thank you. Craig: [00:31:39] Thanks Billy. To find out how we can assist you in building your blueprint for success. Visit www.cubeperformance.com.au that is Cube with a C, you've been listening to the Power Up Your Business podcast with your host Matthew Jones.